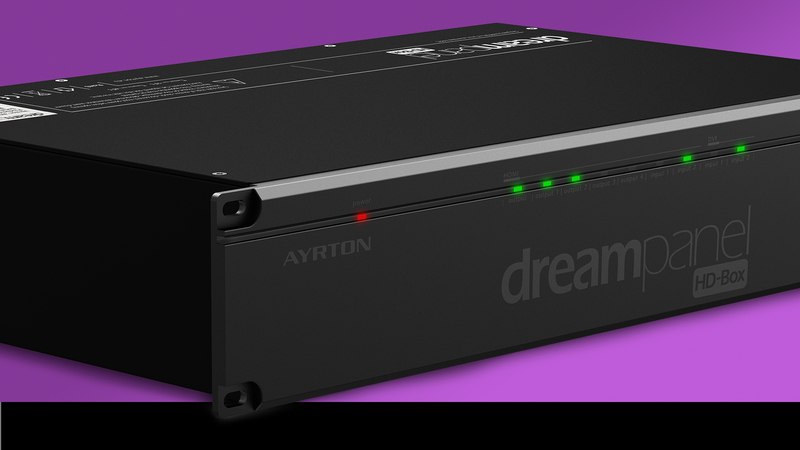 The DREAMPANEL HD-BOX is at the heart of the system for the Imaging Display line. It controls the entire DREAMPANEL family of products. The DREAMPANEL HD-BOX receives the video signal, manages the entire system, and enables pixel-precise positioning of the tiles on a 1920 x 1080 pixel screen with real-time updating. The advanced management system of the DREAMPANEL HD-BOX centralises all the screen settings without requiring any individual configuration of the tiles themselves and accepts a large range of resolutions and input formats (DVI-D or HDMI), thus eliminating the need for external converters. A DMX-512 input allows the user to control certain functions through an external console. 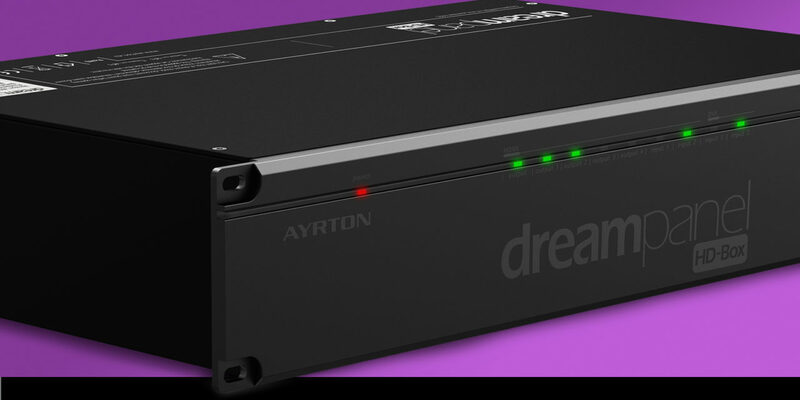 The DREAMPANEL HD-BOX is fitted with USB and Ethernet ports so that a PC can be connected for setting parameters. 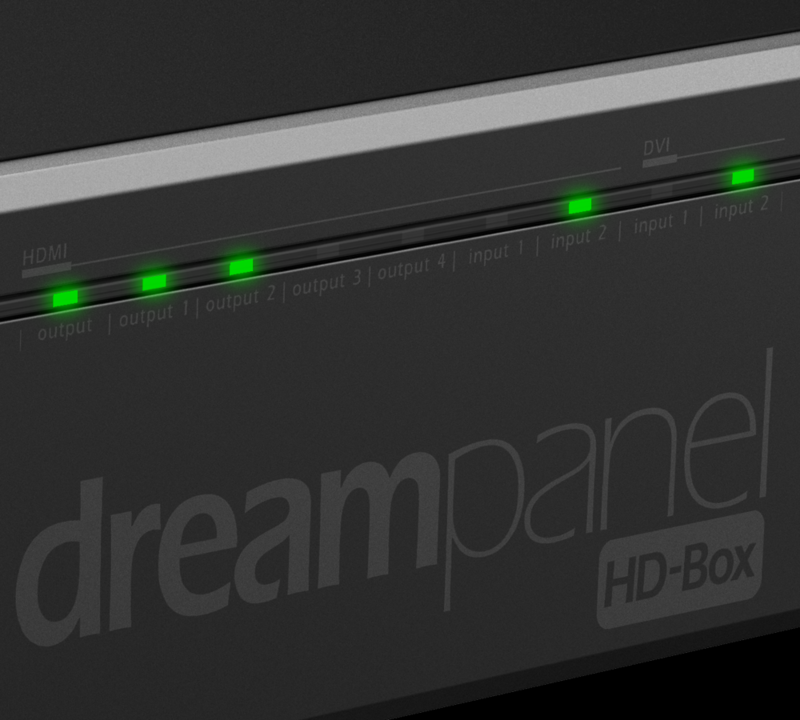 The HDMI DREAMPANEL MANAGER software is fully Windows-compatible, enabling the user to configure the DREAMPANEL screen. The MANAGER can also be easily used to perform a remote update of the DREAMPANEL HD-BOX software and of any type of screen in the DREAMPANEL family that uses the HDMI format. Fitted with an integrated video output, several DREAMPANEL HD-BOX luminaires can be daisy-chained for controlling screens of over 1920 x 1080 pixels. 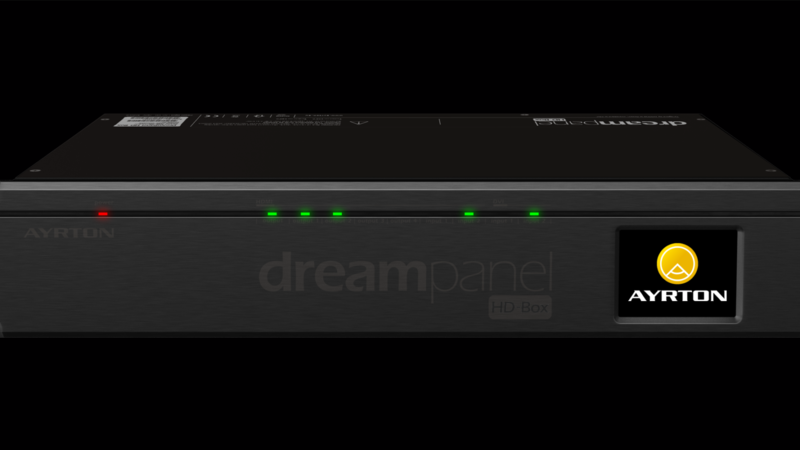 The DREAMPANEL HD-BOX is compatible with media transmission systems that use DVI-D or HDMI computer video output and that have the ability to resize as well as rotate a transmitted image.